Now to kick it into high gear and get my convention swaps started! Your card is gorgeous. I will definitely CASE this one. I don't get it. How did you order at least a day after I did and already have your stuff? They just shipped mine yesterday and it is due to arrive on Monday. Doesn't this sound like new product envy? Please keep showing us your wonderful work it is so inspiring and helps to build the excitement. OMGosh!! 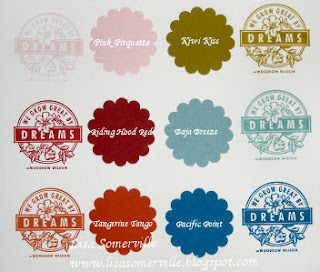 I am so glad I ordered this stamp set!! It somes tomorrow and I CAN'T WAIT!! !